Newcomer Family Obituaries - Robert 'Bob' Glenn Hall 1957 - 2018 - Newcomer Cremations, Funerals & Receptions. 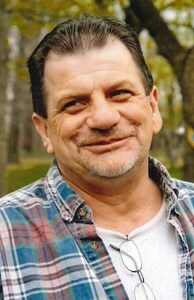 Robert "Bob" Glenn Hall, 61, of Cuyahoga Falls, OH, passed away unexpectedly on December 1, 2018. He was born February 28, 1957, to parents Carl and Virginia Hall. Bob enjoyed spending time with his family, especially his grandkids, who adored him. He treated his friends as family and loved sharing a laugh with all he knew. For many years Bob worked alongside his longtime friend Bill Laughlin in woodworking. Bob is rejoined with his best friend and father, Carl. He is survived by his mother, Virginia; children, Bobby Hall, Christy (Nate) Kellish, Amy (Eugene Rosenal) Hall, Joel (Stephanie) Hall; grandchildren, Gavin and Bobby, Kate and Anna, Connor, Clayton and Adriena, and Morgan; siblings, James, Patricia (Al), Mike, Barbara (John), Ted, Dan; and many other family and friends. Funeral service will begin at 4pm on Wednesday, December 5, 2018 at Newcomer Funeral Home, 131 N. Canton Rd., Akron. Visitation following service until 7pm. Cremation to take place at a later date. To share a message with the family visit www.NewcomerAkron.com. Add your memories to the guest book of Robert Hall. Aunt Virginia and family, I am so sorry to hear about your loss. My love and prayers are with you all. Never had the priviledge of meeting him but sure with you and Uncle Carl as his parents he had to be pretty special. We have special memories and thank Bob for the kindnesses shown on February 21, 1988 and we're sorry for the loss to the family. We all love you, Adrianna, Betty and Buck. We are so sorry to hear about bobby passing. our prayers are with his family. Love sherry and tony. GodBless You Brother, R I P No More Suffing Love GodBless You.